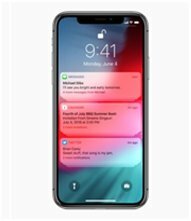 Apple made an official announcement about iOS 12 at the WWDC18. The update will bring some much-needed changes to the iPhones and iPads. The company is focusing on enhancing devices’ performance and making things easier for its customers. The old devices are said to get increased speed and smoother experience. Let’s have a quick look at some of the major changes that will kick in with iOS 12. When The update will first be available as a developer preview for the members of Apple Developer Program from 4 June 2018. A public beta program will be available later in June and the final update for all the users will be available in September. 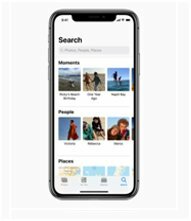 For Whom iOS 12 will be compatible with iPhone 5s and later iPhones, all iPad Air and iPad Pro models, iPad 5th and 6th generation, iPad mini 2 and later, iPod Touch 6th generation. Older iPhones seemed to have speed issues over the years and Apple is looking forward to solving that with the new update. The update promises smoother performance with up to 40% faster app launch, up to 50% faster keyboard display, up to 70% faster swipe to the camera from lock screen. Group FaceTime will now let you add up to 32 people for video calling simultaneously. During Group FaceTime, the speaker will automatically appear on the center or with the Focus View you can double tap on the person you want to see. Messaging will become really fun with iOS 12. 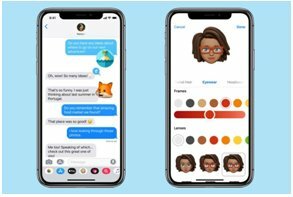 The iPhone X users can use the four new Animoji- Koala, Tiger, Ghost and T.rex in their messages and FaceTime calls. Also, iPhone X users will be able to customize new Animoji as per their personality and use them in Messages and FaceTime. Add shapes, filters, emoji, speech bubbles to your photos and videos. The Camera in Messages will have built-in effects and third-party sticker packs. Redesigned App strip will use take up less space while typing. 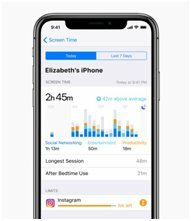 Screen Time will track the time you and your kids spend on using apps and websites and will let you set a specific time limit for each app. You will be able to track how much time your kids spend on apps and websites. Deliver Quietly option for apps and receive all notifications but in silence. Do Not Disturb is better than before. You can now set a time limit for Do Not Disturb so you don’t have to worry about switching it off. An hour, at the end of the day or when you leave a certain location- you can set the time limit for Do Not Disturb mode. Switch on at night and it will only be deactivated next morning when you unlock your device. Improved privacy and security options. Sites will not be able to track your data unless you allow them to. You can automatically create, autofill, store strong passwords in Safari and iOS apps. If the passwords are being reused, then they’ll be reflected in the passwords list and you can directly go to the app or website and replace them with an automatically generated stronger password. The new For You tab in Photos will suggest you share the photos with people who are in that picture and if someone shares pictures of an event, then you too will be prompted to share pictures from that same event. You can now search for photos based on their locations, event name, dates etc. The camera will have better quality Portrait photos. The new API will effectively separate the background from the foreground. Siri too has some add-ons. It will now track your routine and provide you with suggestions at the right time as per your routine. You can translate phrases many more languages and customize or create your own shortcuts, get celebrity facts, search Photos Memories, passwords and do a lot more with Siri. Parental control now lets parents stop notifications from app/apps after a time that they’ve set. 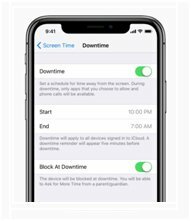 Downtime is a feature that will let parents set a deadline for app’s/apps’ notifications. Also, they will be able to see usage reports of the apps being used by their kids. Apple is definitely is bringing in a whole lot of new additions and enhancements to its devices. These were just some of the major changes that the users will enjoy with iOS 12 this year.